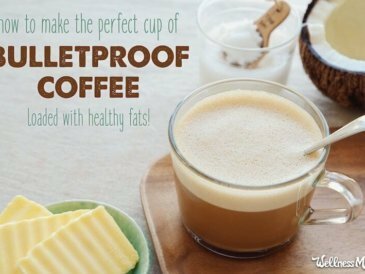 For many people (ok, ok, including me), coffee is a favorite morning drink. 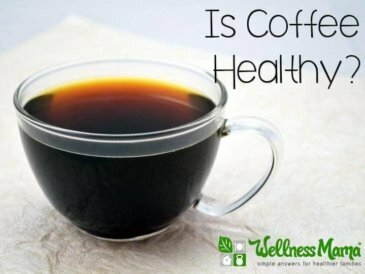 For me, it has never been about the caffeine, as I like decaf just as much … I just enjoy the aroma and taste of coffee. 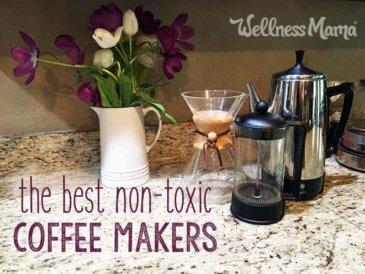 I don’t drink it every morning, but when I do, I typically drink it straight out of my favorite French press and blended with some butter, coconut oil, and vanilla. Other days, I blend this same concoction into a tea of some kind or just enjoy some plain herbal tea. Iced coffee is everywhere in the summertime, and usually contains more milk and sugar than coffee. While yummy (to some) this type of iced coffee does nothing good for us and can awaken more cravings for sugar by flooding our dopamine receptors. 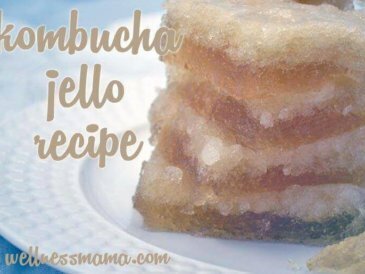 I’ve found a good alternative in cold brew coffee, which isn’t just hot coffee poured over ice. 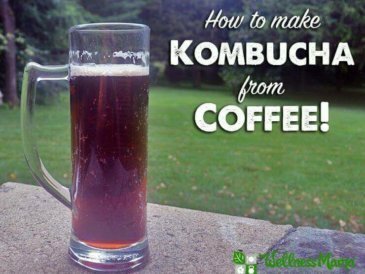 If you enjoy a quality brew, cold brew coffee stays good to the last drop as it won’t get diluted as the ice melts, and it has none of the downsides of the coffee shop concoctions. Best of all, it isn’t complicated at all to make at home and saves a ton of money over a grande frappe addiction. Cold brew coffee, as the name suggests, actually brews the coffee cold, resulting in a less bitter and more aromatic cold coffee. The result is a naturally slightly sweeter, full bodied coffee that isn’t watered down by ice. 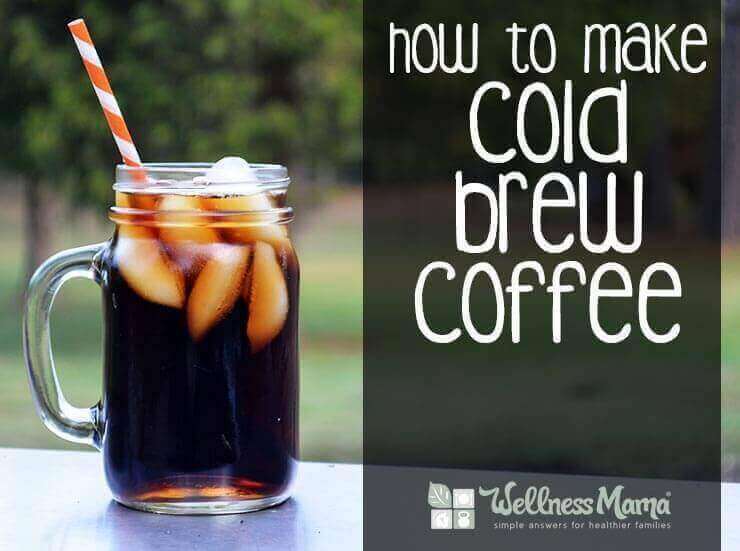 Some people (like my dad) are coffee purists and would never even consider drinking it cold, but if you aren’t part of that group, give cold brew a try! 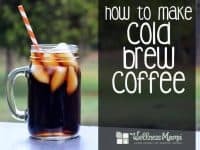 Cold brew coffee is a method of brewing that uses cold water for the entire process, yielding a less bitter and more aromatic finished product that is not diluted with ice. Place the coffee grounds and water in a bowl or pitcher and stir to combine. Cover and put the mixture in the refrigerator. Leave for at least 12 hours or as much as 24. Strain through a fine mesh strainer lined with a coffee filter. This process will be slow. 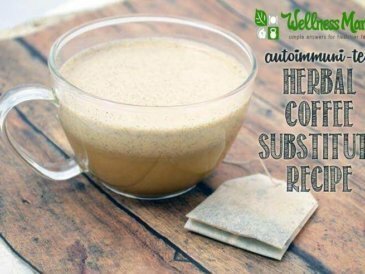 This recipe produces a coffee concentrate that can be diluted with water or milk to achieve the desired taste.